A perfect replacement for the MakerBot nozzle, this is a 0.3 mm MK8 Nozzle for a MK8 3D printer extruder. 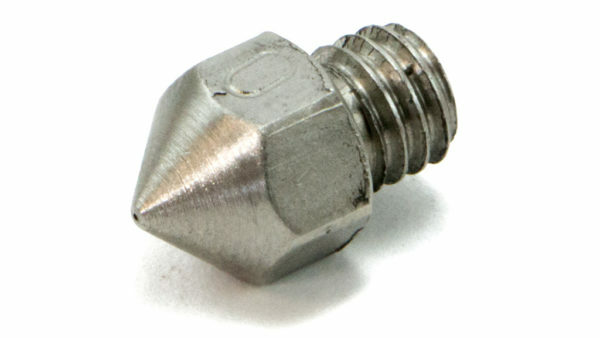 It may also function as a Flashforge nozzle, a CTC nozzle, or for use in other compatible printers. As this is a smaller diameter nozzle than the standard 0.4mm nozzle, you will need to adjust settings in your slicer to ensure proper 3D printing. 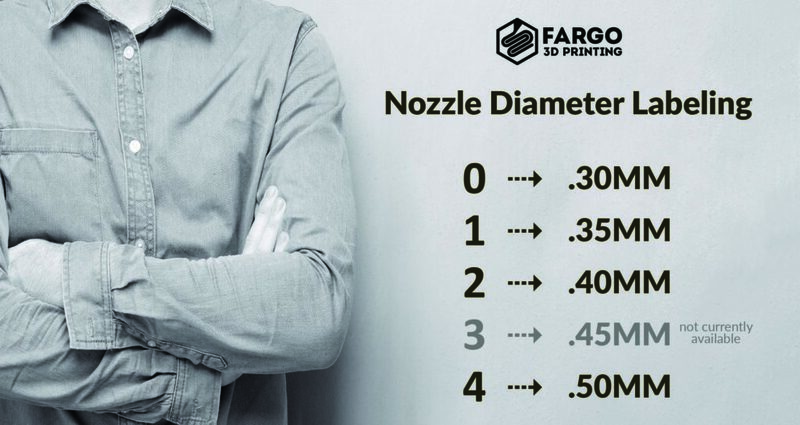 A proper nozzle is one of the most integral components to getting the 3D prints you want. 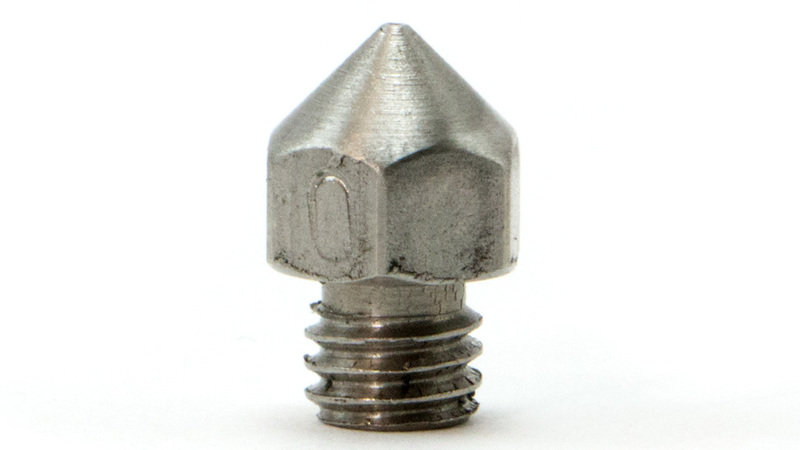 A nozzle may suffer normal wear and tear, either through internal striations from course materials or external damage from contact with your 3D printer’s build plate. This part is machined from solid stainless steel. A stainless steel nozzle will suffer less wear and tear while printing with abrasive materials such a carbon fiber. With an input diameter of 1.75 millimeters, it will thread into the existing MakerBot heater block and thermal barrier tube hot end assembly. Output diameter is 0.3 millimeters. This MK8 nozzle will work with Makerbot Replicator 2, MakerBot Replicator 2x and MakerBot 5th Generation (MakerBot 5th Gen) Desktop 3D printers.